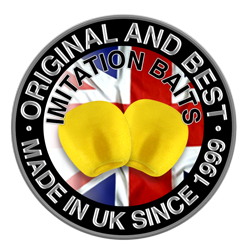 Enterprise Tackle has become established as the UK’s No1 imitation baits manufacturer, proudly producing all of our products here in the UK. 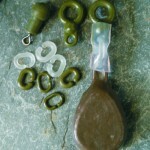 In addition to the wide range of Imitation (Fake or Plastic) Baits we have a growing range of Accessories that make angling a little more enjoyable. In addition as we have grown we have been asked for or have designed assorted items of Terminal Tackle that further enhances the task of successfully catching your wide range of target species. Full details of the ranges available are detailed below. Enterprise Tackle are the originators of the Classic Imitation Pop Up Corn product and whilst we have been developing the range of Corn based products, improving the look and feel to very high degree of replication of real corn, we now have a very wide range of Imitation Baits in our product range. 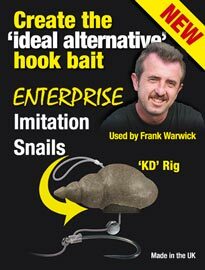 A small selection of these is listed below covering naturals like maggots, worms and snails, as well as many other hook baits you may use in your fishing. ET13YISB Imitation Sweetcorn (Buoyant) – ET13YIS Imitation Sweetcorn (Slow Sinking) – ET13SMF – Sinking Sweetcorn FluoroET63 Corn Skins. – ET51 Camo Corn. – ET13FS Food Source Popup Sweetcorn Range – ET13F Classic Popup Sweetcorn Range – ET18F Classic Maggot Range – ET21 Imitation Casters – ET18M – Mag-Aligner Grubs – ET18N – Imitation Niteglow Maggots – ET64 Imitation Snail. 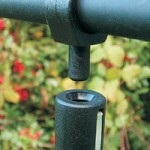 – ET61 Popup Imitation Worms. – ET61S Imitation Worms (Neutrally Buoyant). 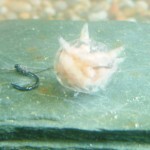 Whilst the use of a good bait, imitation or real is only as good as the way it is presented, our Bait Presentation products are innovative and will help improve some of the ways our baits and other real baits can be presented. Most of these are exclusive to Enterprise tackle and not available anywhere else, take a look and give them a try. We produce a wide range of accessories which are designed by and in conjunction with our Consultants to help anglers fish more efficiently and confidence meaning that they are able to focus on the main task: catching fish. A selection of the Accessories are listed below, we add to these as and when we have something that will enhance the way we dish. Like our Baits, Accessories and Presentation products our Terminal Tackle is equally innovative and practical in that it offers a variety of items that are again not available anywhere else, offering solutions that make fishing simpler, but more importantly in the example of our Snag Safe Lead Clips, SAFER, improving the safety for fish that often are found and fished for in difficult locations. Typical species here are barbel, chub and carp that often frequent snag ridden areas of rivers and lakes. Take a look at the variety of terminal bits we manufacture and sell for a solution to your rig problems.